Hard to believe, but the JK Rowling aka Robert Galbraith story has finally come to a conclusion, sort of. One Weds, JK Rowling took her law firm, Russells, to court and won a judgement against them. Russells has agreed to make a large donation to The Soldiers’ Charity, at Rowling’s request, and has apologised publicly for the indiscretion. Nowhere does it mention JK Rowling leaving Russells or the offending lawyer Christoper Gossage, being disbarred or even censured. However, the lawyer appearing for JK Rowling — Jenny Afia, is from Schillings law firm. So that does seem to indicate a shift in business. Rowling, who was not in court for the hearing, said in a statement: “This donation is being made to The Soldiers’ Charity partly as a thank you to the army people who helped me with research, but also because writing a hero who is a veteran has given me even greater appreciation and understanding of exactly how much this charity does for ex-servicemen and their families, and how much that support is needed. Of course, within that statement is the implication she spoke with “army people” as part of her research for the book. This rather implies that she went to Army soldiers and officers and said “Hey I’m doing research and would you mind . . . .” That statement implies at least a few Army personnel knew she doing research for a new book and any one of them could have mentioned it. Too, it flies in the face of previous statements that Rowling made saying only told a “handful” of her most trusted advisers knew that she wrote a crime novel. Yes, maybe only a handful knew she was Robert Galbraith. But if she was talking to Army personnel doing research, people beyond the “handful” had to know she was writing a new book which featured some sort of Army connection. Aggravating maybe, but completely understandable. Especially when one takes into consideration the fact that other publishing houses had rejected the novel as “good, but not good enough to a launch new author” and she ended up back at her old publisher instead of taking the book apart and trying to make it worthy of new author publication before submitting it again. Solicitors for Gossage and Callegari said they had offered their sincere apologies to Rowling and legally undertaken “not to make any further public statements about this incident or the claimant.” Putting a lid on the matter once and for all. Rowling will donate the equivalent of three years’ worth of royalties from The Cuckoo’s Calling to The Soldiers’ Charity. “It’s a not insignificant amount. We’re over the moon,” said a spokesman for the charity. So, all’s well that ends well. And hopefully, Rowling has learned to avoid pen names from now on. But don’t count on it! Paul Calegari is senior partner at K&L Gates. This team attracts the respect of the business community for its advice on a range of matters including boardroom disputes and strategic issues. Paul counts AOL and The Bill and Melinda Gates Foundation among his clients. Paul has a wife Judith Callegari. Judith is friends with Mrs Gossage. Mrs Gossage is married to Mr Chris Gossage. Chris Gossage is a lawyer at Russells Solicitors, the firm that represents JK Rowling. Russells stands out for its extremely strong music practice and garners high praise for its skill in negotiating lucrative deals. Chris has built a profile in the market as a “a good executor” on the transactional side. What’s great about this story is how waffly it its. Chris is telling Judith, not his wife. Chris’s wife didn’t know. She didn’t happen to tell her BFF, who then spilt the beans. So Chris and Judith are . . . close? We, Russells Solicitors, apologise unreservedly for the disclosure caused by one of our partners, Chris Gossage, in revealing to his wife’s best friend, Judith Callegari, during a private conversation that the true identity of Robert Galbraith was in fact JK Rowling. Whilst accepting his own culpability, the disclosure was made in confidence to someone he trusted implicitly. While Russells apologizes “unreservedly,” they then go on to make the excuse that Chris violated attorney-client privilege because he trusted Judith implicitly. That doesn’t make it less a breach of ethics. In fact, it just makes it worse. Too, all this waffle makes it sound like they’re just trying to avoid saying Chris was having an affair with Judith. 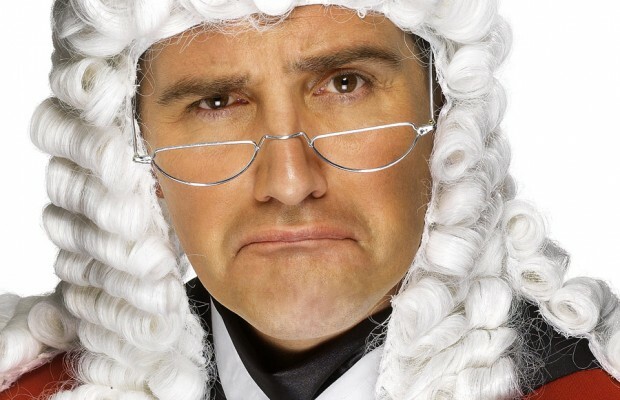 What we don’t hear is that Chris Gossage is being struck off the rolls (that’s English for disbarred). In fact, we don’t even hear the word “fired.” Interesting. To say that I am disappointed is an understatement. I had assumed that I could expect total confidentiality from Russells, a reputable professional firm, and I feel very angry that my trust turned out to be misplaced. Judith Callegari has pulled down her Facebook page. Probably wise, though it’s hard to imagine anyone would want to attack her for outting JK Rowling. She apparently didn’t do it for money. But in a way, that make this just her outting Rowling that much more interesting. Is Judith an attention seeker? A JK Rowling fan? Was she trying to hurt or ruin Chris? Trying to end her marriage (and possibly Chris’s)? Or maybe she was just doing as she was asked? It’s difficult to believe it’s all “as stated.” Yes, people can do stupid things. But not typically when the people are senior partners (or their wives) at law firms with a lot to lose. And not typically when it involves the best entertainment firm in the UK representing the highest grossing author of all time. So, did Russells arrange this leak? Lawyers really don’t mind getting their hand dirty for a good client. If the leak is tracked back to JK Rowling’s own law firm, that’s far better than a track back to the author, her agent, or her publisher. Russells goes out of it’s way to state it was all accidental on their part. On becoming aware of the circumstances, we immediately notified JK Rowling’s agent. We can confirm that this leak was not part of any marketing plan and that neither JK Rowling, her agent nor publishers were in any way involved. It sounds like a love triangle gone terribly wrong that inadvertently exposed JK Rowling. But who can really say. The public is left with a mystery — even as the sales figures for Russells’ client’s book continue to climb. Readers will still have to decide for themselves whodunit, why, and whether The Cuckoo is worth the calling. 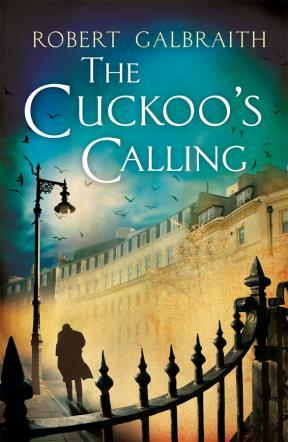 We read a lot of UK news around here, so no surprise yesterday when The Sunday Times outted JK Rowling as new author “Robert Galbraith,” whose debut detective novel The Cuckoo’s Calling went on sale in April. It seems likely the publishing house was counting on Rowling being outted by an astute reviewer on day 1. Given the author was represented by JK Rowling’s agent, and the book was published by JK Rowling’s publisher and worked on by JK Rowling’s editor, then this first time, unknown author was hyped through the roof — even though this author makes no personal appearances, it’s hard to imagine no reviewer would connect the dots. But they didn’t. But again, no reader caught on. The problem with all this publisher-author strategizing was, of course, they forgot that people just want to read a good book. The reviewers and the public were willing to give a new author a chance. They were willing to extended the author and the publishing house trust. In return, both the author and the publisher had to accept the results — lackluster — at least for 90 days. It’s understandable that a famous author wants to see if he/she really has star quality writing ability or if their first huge success was an unrepeatable one off. But actually trying to find out by writing a book under another name? That is a writer deeply insecure about her talent and / or ambivalent about her earlier success. That’s an author who needs therapy. It’s also understandable that while publishers may believe in an author and his/her work (even when they veer off their previous genre), they do have to cave in to the weird demands of very famous authors now and then. This book, no doubt, represents such a case. But, publishers spend a lot of money producing a book. Like it or not, they need a book to make its production/advertising expenses back — and then some — to stay in business. The Cuckoo’s Calling, was released April 30. Until yesterday, it had sold only 1400 copies (500 by some stats) and had mixed reviews. That’s just not good enough for a publishing house, especially as July 31st is coming up fast. After 3 months, the window starts closing fast on “new book” sales. A new book is fading out of public view. It’s got all the hype it’s going to get. Sales start going down hill fast unless there is genuine reader buzz. Most publishers hope to make the bulk of their sales on a book by month 3. If there’s reader enthusiasm — a lot of word of mouth — by month 3 a book might start generating more sales than when it was initially released. These extended sales are great because it means an author can be built up. New books in the series are generally then ordered. However, since sales weren’t very good and reviews mixed, Cuckoo wasn’t going any place fast, ie, a net loss for a publisher. This is not to say it was a bad book, but realistically as a book by a first time, unknown author, it wasn’t doing even ok as regards sales. People kind of liked it, but they weren’t spreading the word. Low book sales mean no request for further books in the series. Very likely, author and publisher would have parted ways. But Cuckoo wasn’t by a true unknown, a first-time author, and the publisher had an out — doubtless one which Rowling had agreed to readily because she’d tried to flog it to other publishers and they all rejected it as not good enough. So she ended up back at her own publisher. The discussion probably went something like this: If Cuckoo’s sales don’t start to seriously uptick after the first 60 days, there will be an “anonymous” tip sent out hinting that JK Rowling is the book’s real author. And this is what happened. One of The Sunday Times‘ columnists, India Knight, received an anonymous tip on Twitter saying the novel was actually by Rowling. The Tweeter’s account was then immediately deleted. This tip was followed up on, and confirmed, and . . . voila, sales rocketed the following day. It’s almost certain the publisher, who wanted to make serious money from Cuckoo, is the “anonymous” source. Since the clueless reviewers/public didn’t figure out this book was actually the work of a “famous” writer, someone had to tell them — and get Rowling’s huge fan base out buying. And it needed to happen in the first 3 months, by July 31st. Why? Can you say “Annual Report,” “Fiscal Year,” or “Stock Dividends”? There’s nothing illegal about any of this, but it’s all a bit silly and demeaning for an author of JK Rowling’s stature. And as for the publisher, well, a corporation does what corporations do to protect their bottom line and their brands. JK Rowling is a brand. A brand can’t put out a bad product (in this case a book). This is especially true as her first novel for adults Casual Vacancy wasn’t that well received. And by not well received, we mean didn’t go as big as Harry Potter. It was still a 3 out of 5 book that made huge sales. JK Rowling herself seems to indicate complicity in the whole Cuckoo scheme. “I hoped to keep this secret a little longer,” she said. Clearly, she’d expected her true identity to be revealed, just not within 90 days. She perhaps hoped her book would get great buzz and sell magnificently on its own. At the same time, she seemed to accept that her publisher would exercise its option to out her and make serious money off this book (and any future series’ books), if it didn’t. This “revelation” protects Rowling’s brand and makes her a lot of money. Should all this reflect badly on Rowling? Truthfully, publishing contracts probably make it extremely difficult for her to self-publish a book under another name and let the work stand on its own. If that was something she wanted to do. Was it? Maybe. One of the things Rowling said, in remarking on Cuckoo, was that she didn’t want to get a lot of hateful reviews again just because she was famous. In other words, she felt Casual Vacancy had been attacked unjustly because of her fame. Ultimately, it’s readers who decide a book’s fate. If a book is not well received, that’s life. Authors must accept that. They can’t assign blame to the readers. Overall, the number of haters doesn’t outweigh the number of actual open-minded readers. A wildly successful, established author shouldn’t need to hide under various nom de plumes in a desperate desire to get what they believe is an authentic review. If you are a famous author and you are publishing another book, in another genre, under another name, in order to get a good review because you believe people are out to get you and, apparently, any review that’s negative is from a hater and therefore inauthentic . . . well, that’s just a bit sad and rather paranoid sounding. But, that’s apparently what’s going on here from what the author herself has said. This is why therapy is a good idea. JK Rowling is a good author. But she can’t own her own talent or fame. Authors have to own their writing, own the fact there are haters out there, and own the fact that they will never be liked by everybody. That’s the only way to have a sane life. If you can only stand to hear good things about your writing because you don’t fully believe in in your work — stop writing. That really comes off as complete twaddle. 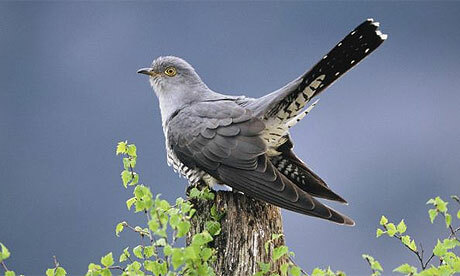 The Cuckoo was totally hyped by the publishing house in a way no first-time unknown author’s book would be. And there were certainly expectations — by the publishing house, if not the author — that the book would sell and sell well. As for feedback? Apparently the mixed reviews of Cuckoo were expected — only this time she believed them. But those reviews still weren’t good enough to move the book, so her publisher outted her. Translation: The book didn’t sell on the strength of the writing. It was an ok read but nothing so fantastic readers want to tell everyone it’s a can’t-put-down must-read. It was never going to be a best seller. However, sometimes audiences grow, especially over a few books in a series. Publishers often nurture new writers and allow time for this extended strategy to play out. It’s sad that Rowling has no faith in the reading public. But her books do tend to reflect a pessimistic, even negative, outlook on people and life. What’s sadder still is that Rowling’s publisher didn’t have enough faith in her new book to let it run its course and allow it (and any future books of this series) to develop a following naturally. One can only assume the publishers didn’t believe in Galbraith’s writing, or lost faith too soon when sales fell off, or, more realistically, that this is just everything going to (backup) plan: Let famous author do this, and 60 days in (if it’s not selling) reveal and make a killing. Win-win. Except for the readers who were duped. Readers of Cuckoo were cuckolded. And it’s doubtful that title joke, played on the readers by Rowling (and her duplicitous publisher), was unintended. That Rowling still wonders why people write hateful reviews, especially after something like this, now there’s a mystery! 1894 photo of Mark Twain in the New York City laboratory of his good friend, Nikola Tesla. Happy Birthday today to perennial FAB favorite Samuel Clemens (aka Mark Twain). For those techno-geeky folks out there, Sam was the first person ever to write a novel on a typewriter. The year was 1883, the book Life on the Mississippi. Please do not even divulge the fact that I own a machine. I have entirely stopped using the typewriter for the reason that I could never write a letter with it to anybody without receiving a request by return mail that I would not only describe the machine but state what progress I had made in the use of it, etc, etc. I don’t like to write letters, and so I don’t want people to know I won this curiosity-breeding little joker. He’d paid the whopping sum of $125 for the Remington No 1 and claimed to have traded it to a friend a few years later for a $12 saddle, thereby “cheating him outrageously.” But one suspects, since he wrote a Life on the Mississippi on a typewriter, he gave up his early model No 1 typewriter in favor of a new and improved Remington No 2 which appeared in 1880 and had the impressive futuristic feature of . . . a Cap Shift Key. The Remington No 2 was the first commercially successful writing machine, selling over 100,000 units. And yes, that’s Remington as in rifles (So, one could say Remington covered its bets by producing both sword and pen!). Remington began making firearms (a metal and wood product) in the 1820s. In 1873 Remington began the new venture, producing typewriters. Remington sold the typewriter business in 1886. The new owner, the Standard Typewriter Manufacturing Company, bought the rights to continue using the Remington name, and the firearms business became Remington Arms Company. Many well-known authors have used Remington machines. Dame Agatha Christie used a Remington Portable No 2 and a No 5. Raconteur Quentin Crisp preferred the No. 3. Nobel Prize winner in Literature Rudyard Kipling pecked away on a Remington Noiseless model in his later years. And a Remington Portable No.3 was one of the typewriters of choice of Gone with the Wind novelist Margaret Mitchell. So how ever you choose to create your next great novel — traditional longhand or something cutting edge, remember, it’s the words that count, not how you get them on the page. StiK – Cow Writer’s Block from a presentation on Writer’s Block Sometimes it’s the technology that’s holding you back! Tags: agatha christie, Birthday, gone with the wind, JK Rowling, life on the mississippi, longhand, margaret mitchell, Mark Twain, remington, samuel clemens, technology, typewriters, writer's block. Pull out the lawn chairs and throw down the beach towels Harry Potter fans, it’s official Summer Solstice is Here! This is Stonehenge Aotearoa for those of you that are wondering. It’s a really interesting place. 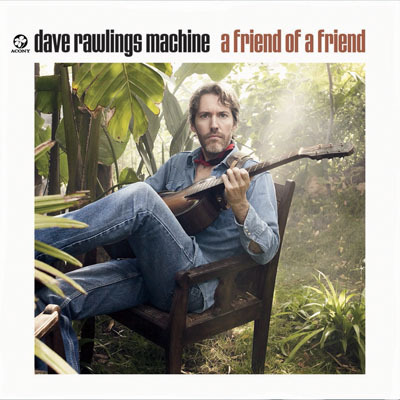 Check it out if you’re ever in New Zealand. Awesome! But equally awesome is JK Rowling’s upcoming announcement regarding Pottermore, the website, due to take place Thursday (6AM EST/ 3AM PST). Interested in hearing more? You can click an owl to go through to the Pottermore official countdown on youtube. But that’s about all you’ll discover. There’s been rampant speculation about what Pottermore is or will be and so we’ll weigh in with our flights of fancy. Hate to say it, but odds are heavily in favor of it being a pure merchandizing site. Books, memorabilia, plastic figurines, all that sort of thing. An updated rerelease of the books, that most likely merchandizes the movies, and merchandize associated with the movies. Alternatively, perhaps the books are being released in a simple graphic comic book form, for younger readers, or readers whose grasp of language is not up to the level that reading the actual books requires. JK Rowling has always been dedicated to promoting literacy and this would be an ideal opportunity to advance that cause. Finally there’s a good chance Potter will go the way of many other popular children’s books and become a saturday morning comicbook-style tv series. It’s the next logical progression for the series. And the graphics on the website do lend themselves to that notion. We don’t really think there’s any “more” coming in the real sense and in fact, JK Rowling has already said, “No more Potter books.” But then again, authors always say that. However, if you’d like to know more about Harry and Potterworld in general, and you don’t yet have this title check out An Unauthorized Harry Potter Companion (Formerly titled: The Harry Potter Companion, but JK Rowling’s lawyers asked that the title be chanced because they thought the word “The” made it sound definitive.) It’s 537 pgs of revelations. And by friend of the firm, Acascias Riphouse. This book is the ultimate, exhaustive companion to the Harry Potter series, complete with maps, illustrations, diagrams, recipes, biographies, spells, timelines, terminology, bibliographies, class schedules, houses, demerit counts . . . you name, it’s here and then some! Covering books 1–5 and small assorted books that were published by JK Rowling related to the series, it intentionally does not cover the final two volumes of the series, so as not to spoil any surprises. Think of this 537–page book as the ultimate fact check. It’s that pause in the series, that chance to dig into the details of the books and prolong the fun, before reading the exciting concluding volumes. 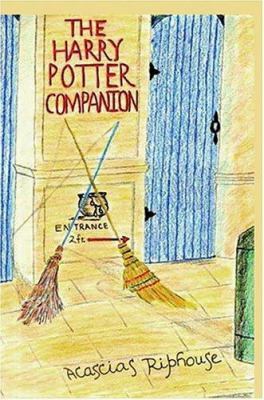 A must have for every Potter fan.